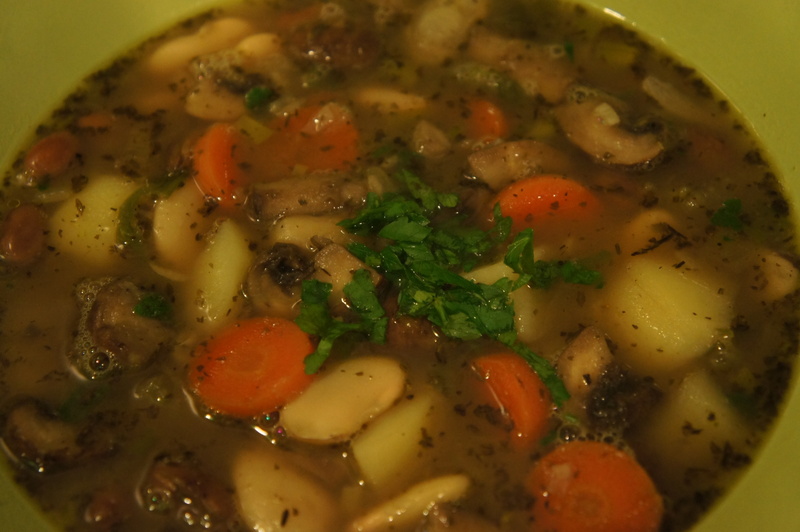 Soups | Life's Conundrum - Eat to Live or Live to Eat? It is safe to say that today has to be one of the most miserable days of the year – weather wise – as it has been drizzling non stop all day from around 8:30 in the morning with no sign of letting up through the night! 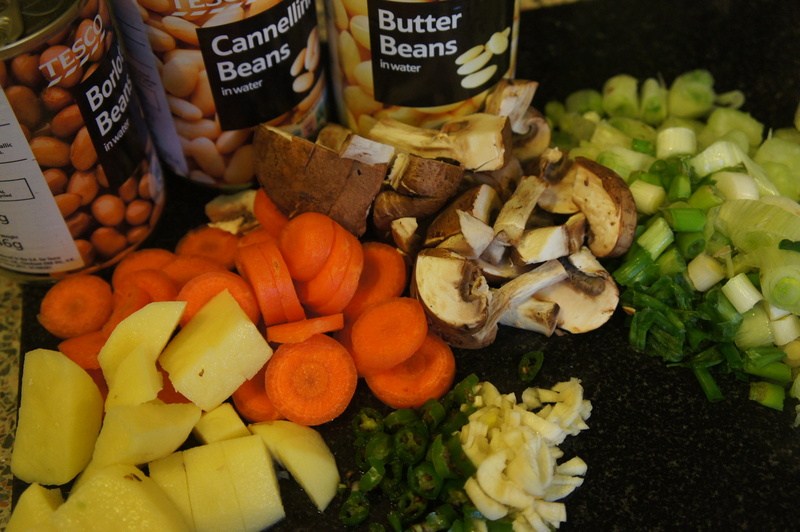 We looked through our store cupboard for some lunch inspiration and ended up making a bean soup which was very comforting and filling. Place butter and oil in a hot pan followed by the garlic and green chilli. Saute for 30 seconds before adding the spring onion and celery. Saute on medium heat for a few minutes before sprinkling the dried herbs. 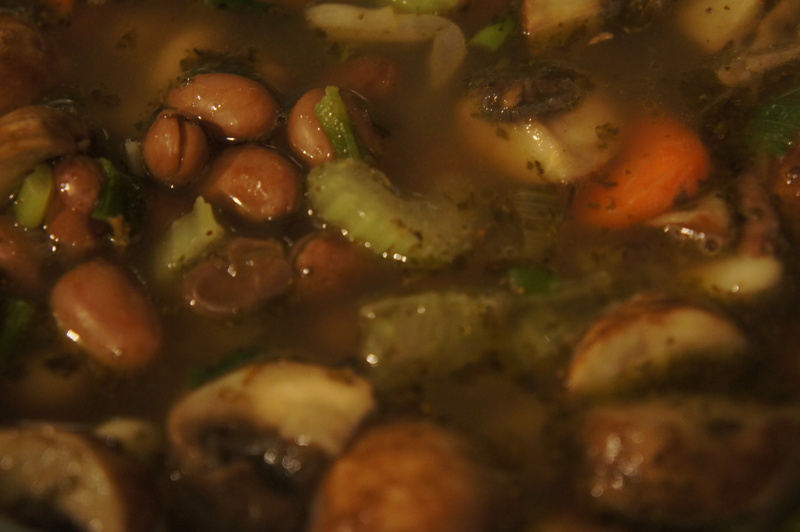 Stir and then add the remaining vegetables, stock cubes and around 1 litre of water. Continue to cook on low heat for 10-15 minutes before adding the beans. Reduce heat and simmer for another 10-15 minutes. Adjust the seasoning and garnish with fresh parsley before serving. Last night we made a fiery roasted tomatoes and coriander soup which despite being spicy was quite difficult to stop eating. Guess it is true what they say about the addictive nature of chillies. We will probably tone down the chillies next time around but the rest of the ingredients work well together to produce a delicious soup. Drizzle a little olive oil over the tomatoes, garlic, chillies, onion and green pepper and roast in a 180 degree pre-heated oven for 45 minutes to an hour till the vegetables begin to char a bit. Squeeze the garlic out of the skin and blend to a paste with roasted chillies, onion and green pepper. 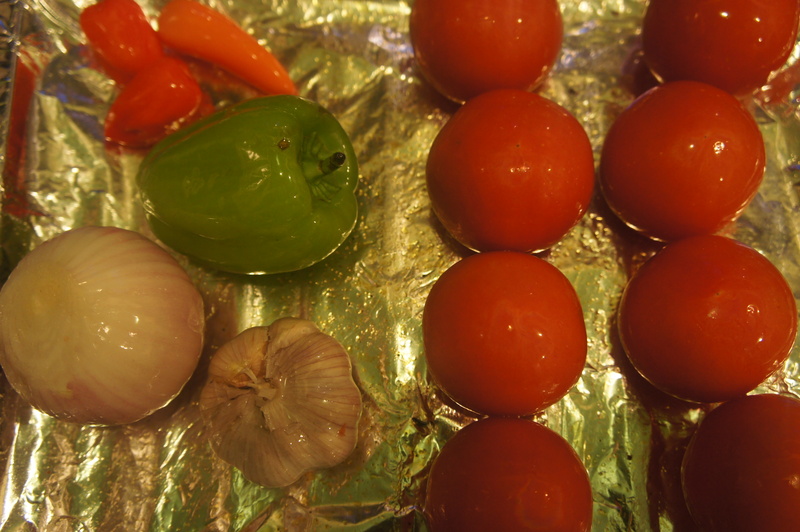 Remove the skin from the tomatoes and blend to a puree. 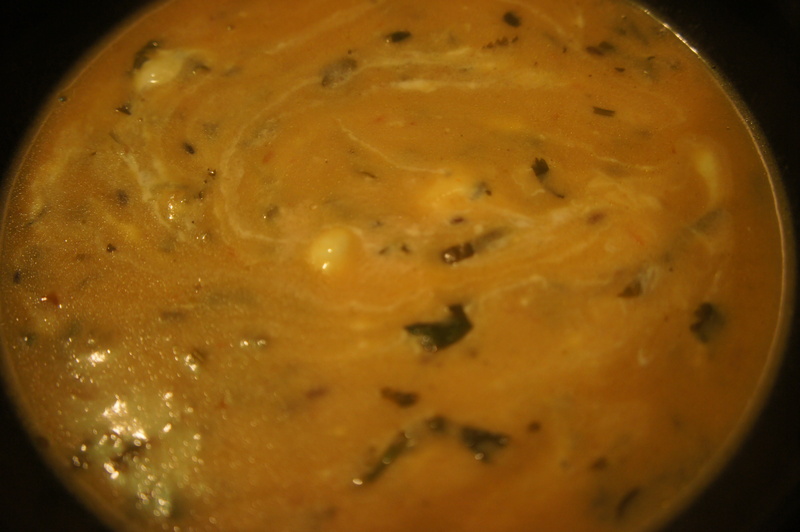 Heat butter in a large pot and add the paste – stir over medium heat for 5 minutes before adding the chopped coriander. Stir for a minute and then add the pureed tomatoes and sugar. Add the stock cube and 1 cup of water and bring to a boil over a medium heat. Adjust the seasoning before finishing off the soup with some roasted cumin seeds and creme fraiche. Here’s our contribution to the “What do you do with the left over roast from Christmas ?” conundrum. 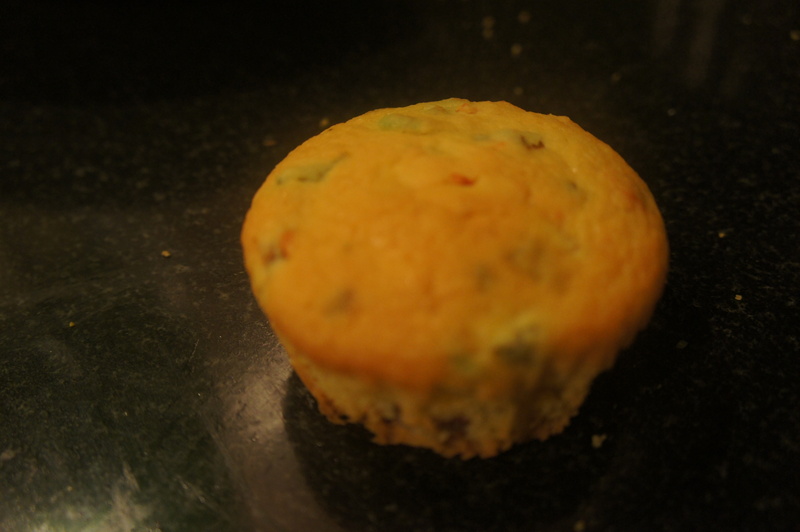 On Boxing day we had made some corn muffins for a lunch get together with some dear friends. Having used some of the creamed corn in the corn bread muffin mix we had planned to use the remainder in a soup combined with the left over roast chicken (using tarragon butter – recipe posted earlier) from Christmas lunch. We think it is one of the better soups we have made in a while with the fresh tarragon adding incredible flavour and enhancing the overall deliciousness of the soup. Heat a pan and add a knob of butter followed by the garlic. Saute for a minute over medium heat ensuring the garlic does not brown before adding the chopped red chillies. 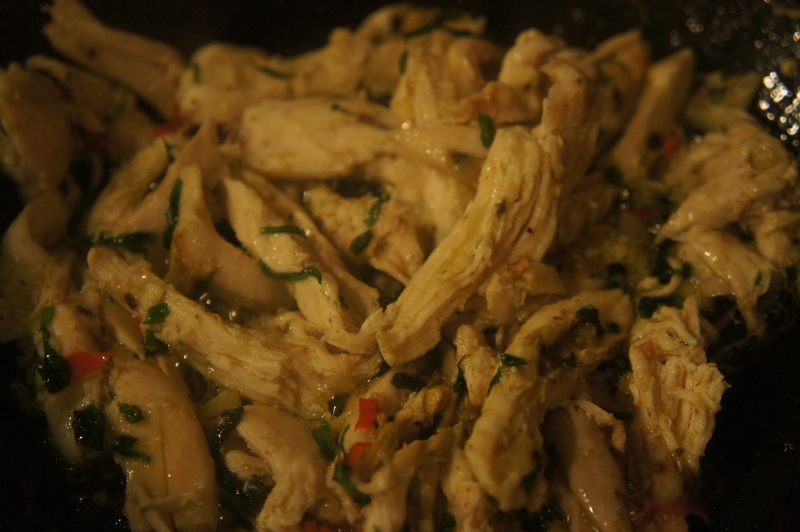 Saute for another minute before adding the tarragon and left over chicken. Warm the chicken through and switch of the heat. I a separate pan add another knob of butter to saute the mushrooms for a couple of minutes. Pour in 400 ml of water and add the stock cubes and bring to a boil. 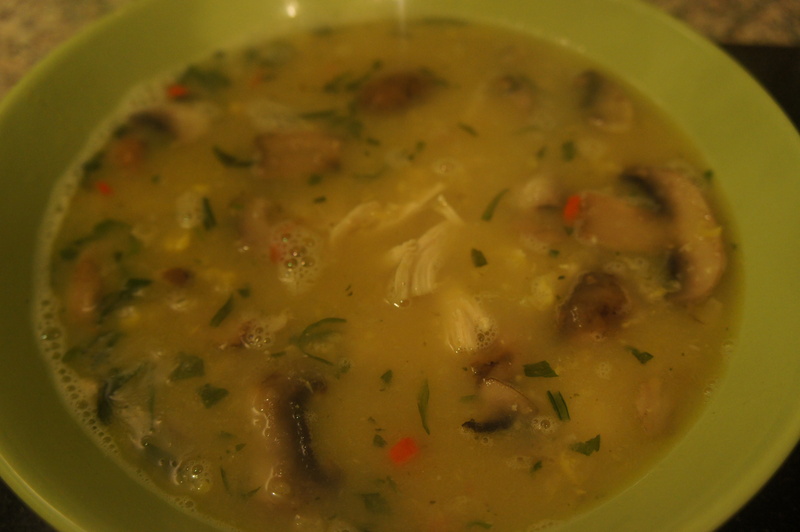 Add the creamed corn and chicken to the stock and simmer over low heat for 5 minutes. Pour into your soup bowl and enjoy. Mix all the dry ingredients in a large bowl. Add the chopped spring onions, jalapenos, cheese, milk and oil – mix thoroughly before adding well beaten eggs. Fold the eggs into the mixture and spoon into greased muffin cases and bake in pre-heated oven at 180 degrees Centigrade for 40-45 minutes till they are golden brown. Enjoy on its own with some sweetened butter (honey mixed with softened butter) or as an accompaniment to soups. We have gone quiet for the last week with little to share in the way of new recipes. Furthermore we had a little mishap with our oven which died on us – trying to replace it has been a challenge – old built in oven was 90 cm wide and 48 cm tall and over 10 years old – all newer off the shelf models are 60 cm wide and around 60 cm high – note to self avoid built in ovens if we move house! Our interim solution is a counter top rotisserie oven which so far seems to be doing a remarkable job on the grilling front – although we haven’t tested it with any serious baking so far (we are going to make some chestnut flour chocolate chip cookies later in the week – let’s see how the oven copes!). 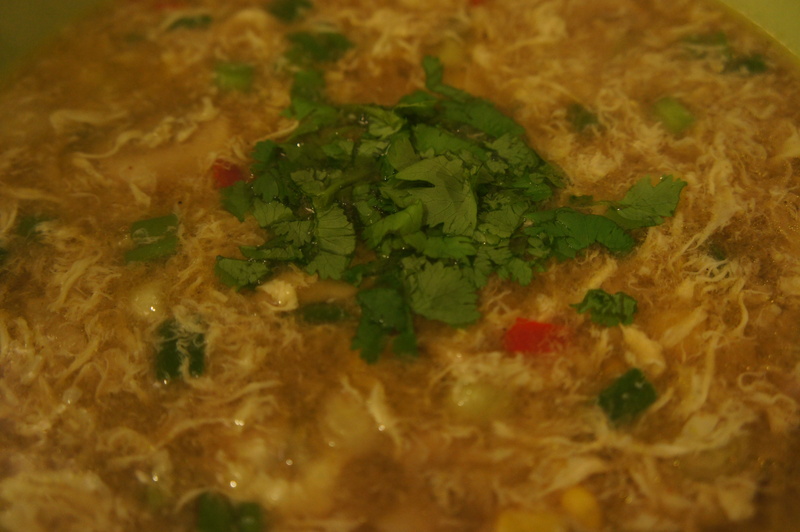 We digress – this evening we had “Chinese egg drop soup” – which was extremely easy to prepare and can be whipped up in fifteen minutes or less. Heat pan and add oil to it. 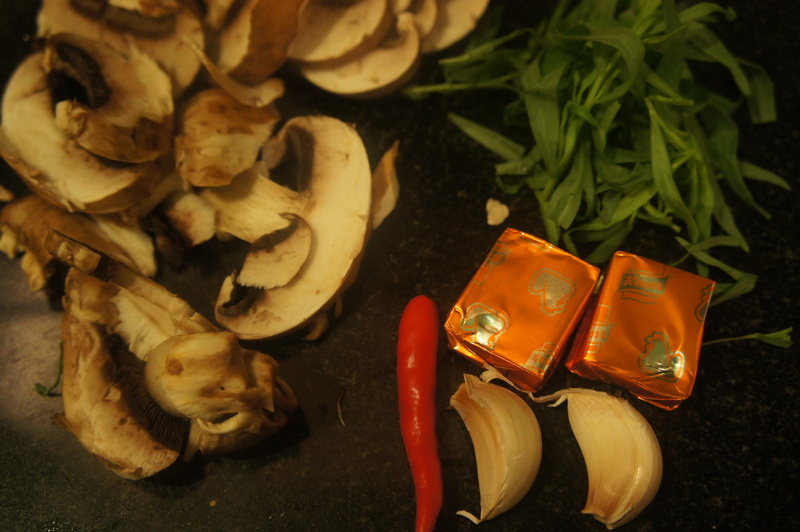 Saute the ginger, garlic and red chili for a couple of minutes before adding the mushrooms and sweetcorn. Sprinkle the Chinese five spice powder and saute for another couple of minutes before adding the stock cubes and 400-500 ml of water. Simmer on low heat and once the soup comes to a boil pour in the beaten eggs and mix vigorously. Sprinkle the white pepper, soya sauce and adjust for salt. Bring soup to a boil and then add the spring onions – turn off heat, garnish with fresh chopped coriander. 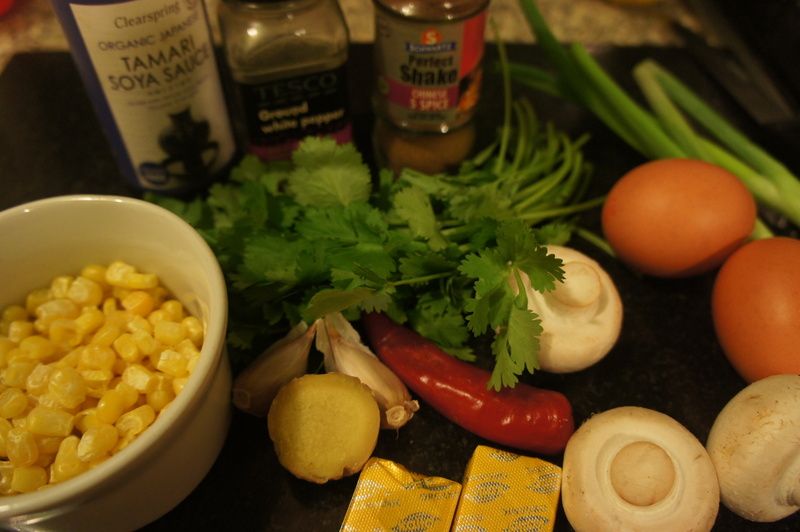 Having previously discovered the simplicity of preparing a fish soup infused with Thai flavours, tonight was an opportunity to experiment a bit further with different ingredients. 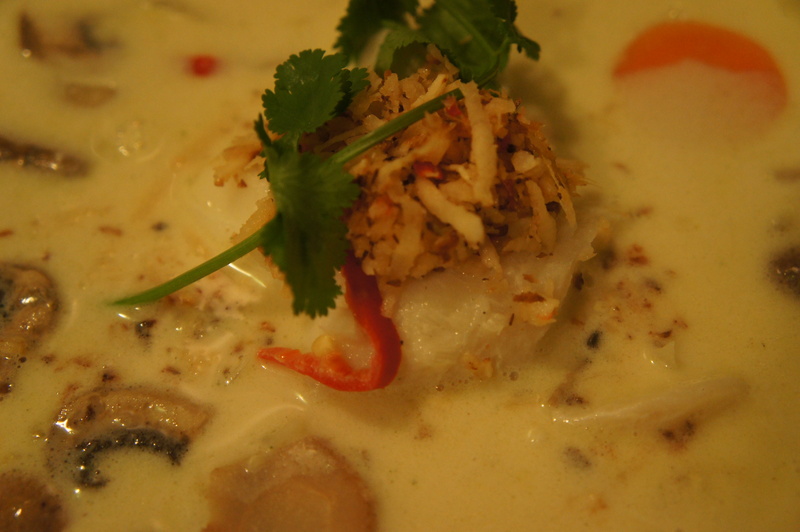 Net result was a wholesome bowl of coconut fish soup with bags of flavour. The ingredients are predominantly Indian by nature but the soup has more of a Pan Asian feel to it because of the coconut milk and the fresh sambal. The soup uses ‘kokum’ to provide a bit of tang to the dish – this is typically found in India and commonly used in west coastal fish dishes. If kokum is not available in your local Indian grocer then feel free to substitute it with some tamarind pulp. 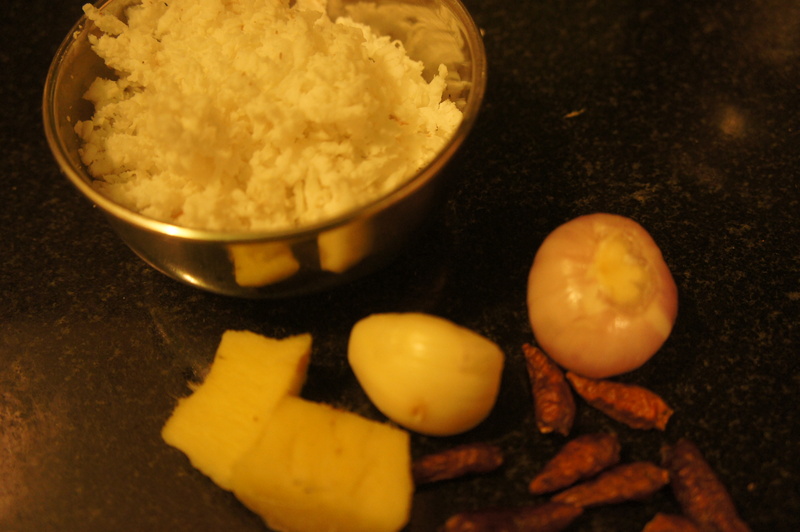 Pound all the ingredients (except the coconut) to a paste in a pestle and mortar. 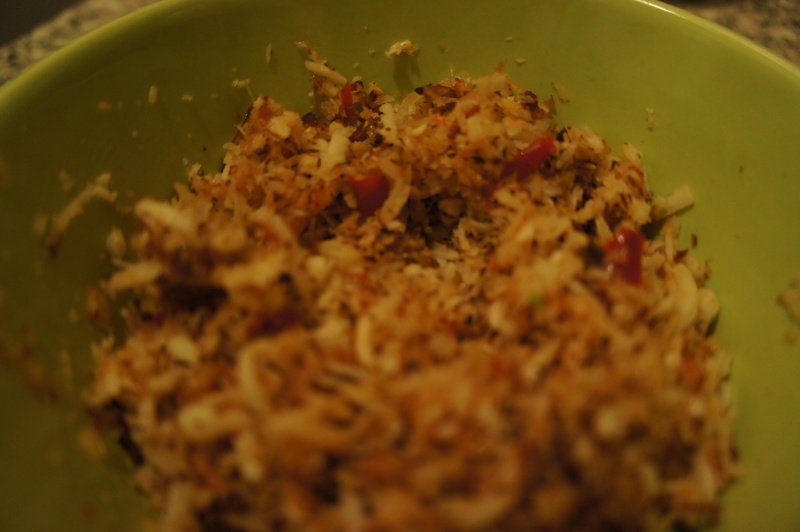 Once the roasted coconut has cooled, mix it with the paste and it is ready to serve. Heat a pan, add coconut oil followed by the caraway seeds, ginger and curry leaves. Stir for a minute before adding the sliced onions, green chillies and cook for a couple of minutes. 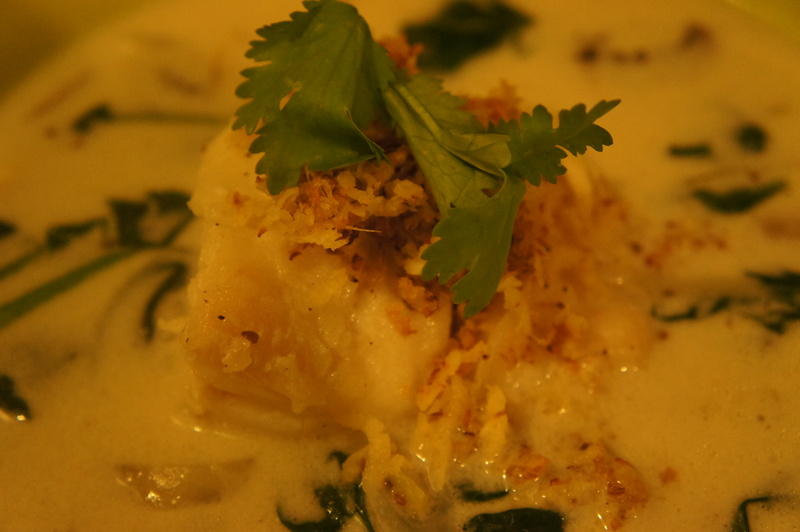 Pour in the coconut milk with 400 ml of water and season with salt and white pepper. Reduce the heat to low and cook for ten minutes before poaching the cod fillets in the stock till cooked through. 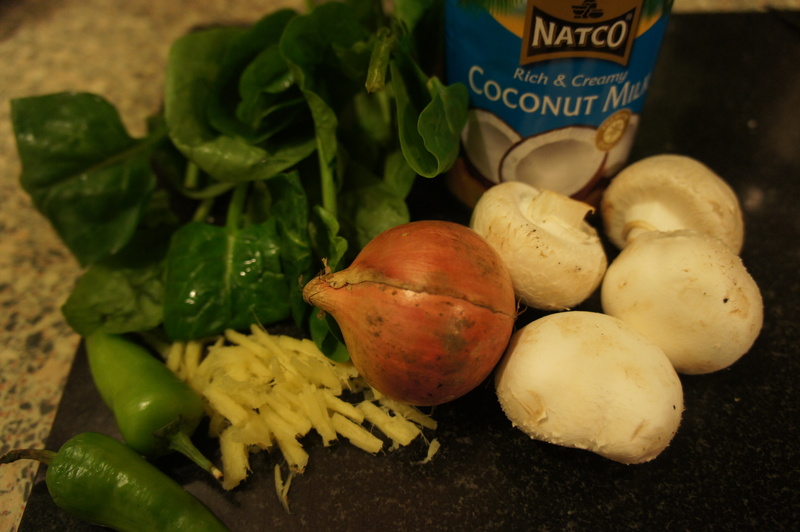 Remove the fillets and add the mushrooms and spinach to the stock – increase heat and cook for five minutes. To assemble the dish, place the cod fillets in the middle of the bowl and pour stock with vegetables over it. Garnish with a tablespoon of the sambal and some fresh coriander. Enjoy. We tried a dish tonight inspired by Thai flavours and were pleasantly surprised with the outcome. It was dead simple to make and turned out to be a heartening meal especially on a wet, cold and rainy night as tonight. 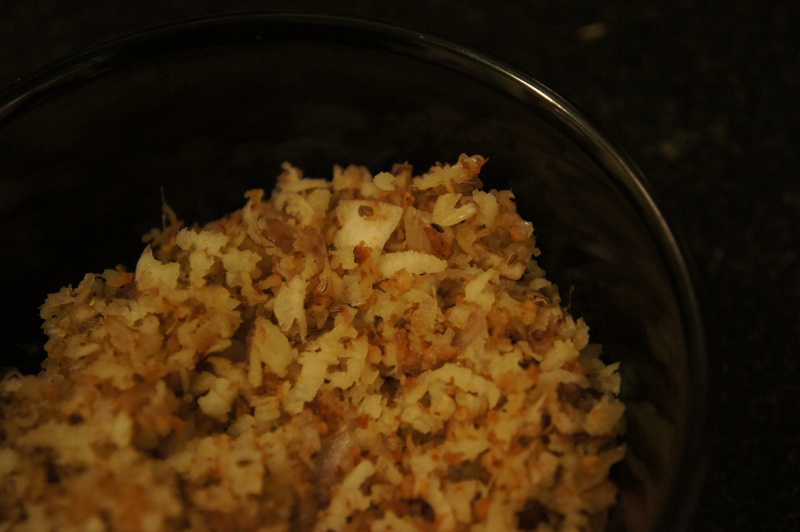 Heat a pan, add coconut oil followed by the sliced onions and cook for a couple of minutes. Pour in the coconut milk and 400 ml of water. Add the kafir lime leaves, galangal, red chilli, lemon grass, white pepper and stock cube and bring to a gentle boil, Reduce the heat to low and poach the cod fillets till they cook through. 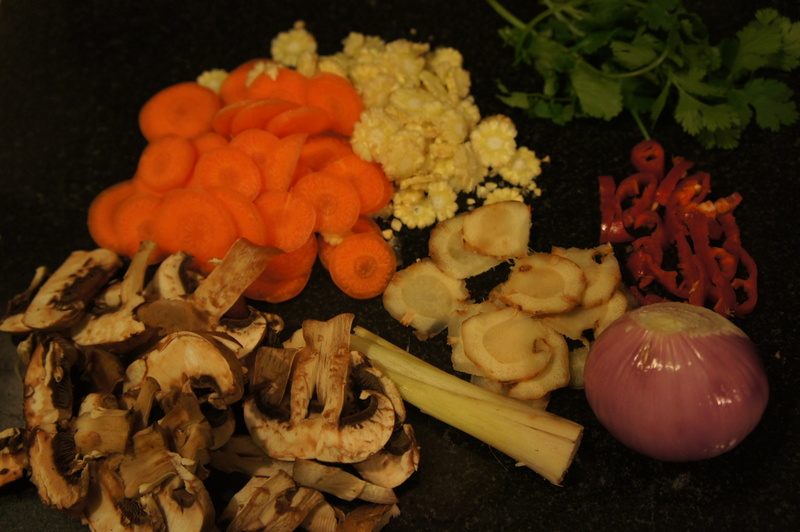 Remove the fillets and add the vegetables to the stock – increase heat and cook for five minutes. To assemble the dish, place the cod fillets in the middle of the bowl and pour stock with vegetables over it. Garnish with a tablespoon of the sambal and some fresh coriander. Enjoy.